Did you know that kangaroos can hop at 44mph? Junior masterminds can show off their knowledge with this fact-filled T-shirt. 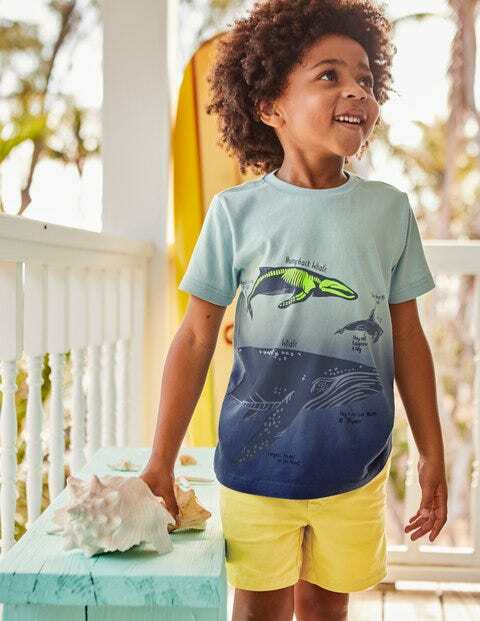 The 100% cotton top is dip-dyed for a striking ombré finish and then printed with neon graphics and plenty of astounding information about the animal kingdom.